This is a printable handwriting and spelling practice worksheet with basic etiquette phrases to read, trace, and copy: Thank you. May I, please? Excuse me. You're welcome. How kind of you! 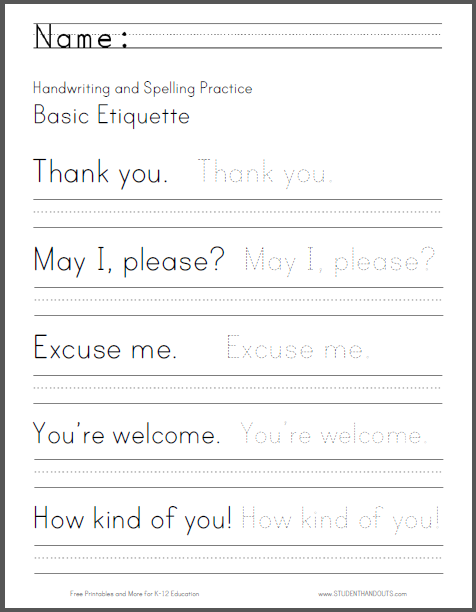 Click here to print this worksheet featuring handwriting and spelling practice for basic etiquette phrases.